White House press secretary Sarah Sanders spent Sunday morning in full defense of President Trump on everything from his reluctance to release his taxes to his change of heart on WikiLeaks and tweeted attacks on a Muslim congresswoman. Sanders told “Fox News Sunday” host Chris Wallace that she thought members of Congress “weren’t smart enough” to understand Trump’s tax returns. And speaking of 2016, Sanders also on “Fox News Sunday” attempted to clarify Trump’s “deal” with WikiLeaks after its founder, Julian Assange, was arrested last week. 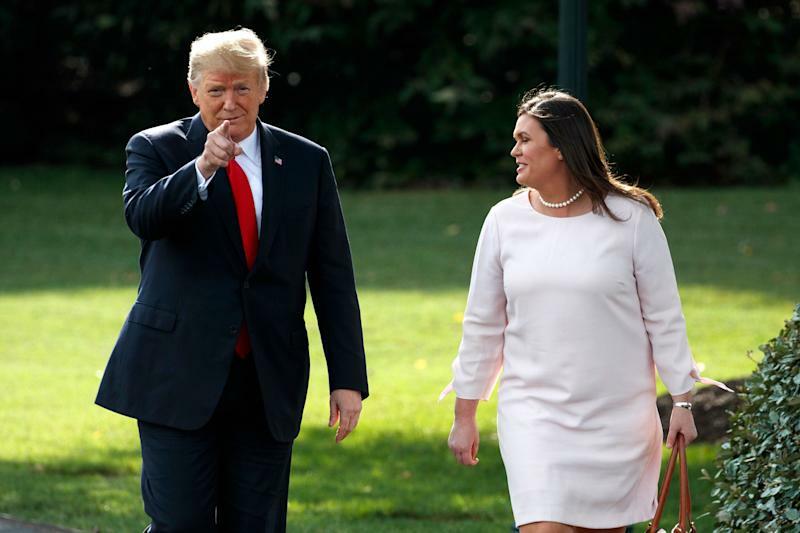 “Look, clearly the president was making a joke during the 2016 campaign,” Sanders said Sunday about Trump, who had repeatedly praised WikiLeaks ahead of the 2016 election. “Boy, I love reading those WikiLeaks,” he added. Sanders also asserted on ABC News’ “This Week” that Trump, after days of stoking controversy around freshman Rep. Ilhan Omar, D-Minn., meant no harm to the Muslim congresswoman. Republicans zeroed in on the line “some people did something,” which they considered a flippant description of the terrorists and their actions, and on Saturday, Trump tweeted a video splicing together Omar’s comments and footage of the Sept. 11 attacks. Democrats came to Omar’s defense and condemned Trump’s actions as inciting racism and Islamophobic violence. “They will continue to monitor and address the threats she faces,” said Pelosi, who denounced Trump’s involvement in the controversy.